Home › Agriculture › Are Brazil’s Deforestation Policies Enough? Are Brazil’s Deforestation Policies Enough? As deforestation alone is responsible for well over half of Brazil’s GHG emissions, it is a contentious sector at all levels of government, for businesses, NGOs, and civil society groups. To meet its stated emissions reductions goals by 2020, Brazil must simply stop cutting down forests, or at least slow down the rate significantly. Easy enough, right? Actually it’s not easy at all for reasons outlined in our recent paper on Agriculture and Land-Use in Brazil and Indonesia. However, there are some international and domestic initiatives in the works that aim to reduce deforestation and promote low-carbon land-use practices. In 2010 Brazil signed the Low Carbon Agriculture Plan, or ABC Plan. The Plan seeks to promote and stimulate sustainable practices in agriculture that reduce GHG emissions and increase carbon sequestration, specifically proposing annual reductions of 133 to 166 MtCO2e by 2020. The Interministerial Committee on Climate Change will provide information, training, loans and credit, and construction of state-level plans for farmers to adopt strategies that limit deforestation and increased emissions. However, implementation of the Plan is facing significant bureaucratic and financial barriers, which are outlined in full in our report. The Action Plan to Control Deforestation in the Amazon (PPCDAm) and the Action Plan to Control Deforestation and Fire in the Cerrado (PPCerrado) aim to reduce deforestation in these respective areas by 80% and 40% respectively by 2020 compared to historical deforestation rates. Most of the domestic soy production takes place in the Cerrado Biome, while cattle ranching is prevalent in both regions. The federal government has also established two financing initiatives, the Amazon Fund and the National Fund on Climate Change, which aim to raise donations to invest in forest monitoring projects, technical support for deforestation preventions, and general forest sustainability. The problem is that these funds are managed by the Brazilian Development Bank (BNDES) raising questions of efficiency and proper allocation of funds. The Brazilian Forest Code is a topic that deserves an entire report defining its intricacies and the political and market forces that seek to alter it or completely dismantle it. Basically, in 1965 the Code established guidelines called “legal reserves” that stated the proportion (80%) of individual rural land plots in the Amazon should be maintained permanently as forest. The Code also prohibited the clearing of vegetation in “areas of permanent protection.” For decades, rural landowners have not met these requirements and lack of oversight and enforcement in remote areas has allowed transgressions to go on unpunished. The Code is currently being revised and many argue that the large beef and soy production companies, who carry lots of influence in government especially at the state level, are the ones driving the revision. While it has not been complete, elements likely to be included are amnesty for select cases of illegal clear-cutting prior to 2008, a reduction to 50% from the 80% legal reserve requirement, weakened stream-buffer protections, removing hilltops under 100 meters from protected status, eliminated intermittent stream protections, and decreased safeguards for mangrove forests. Keeping the Forest Code intact is vital even if only for symbolic reasons. If the Code is completely scrapped, this will prove to be an extreme blow to the anti-deforestation movement. Finally, Brazil is participating in the REDD+ program and is one of eight pilot countries participating in the Forest Investment Program (FIP), a World Bank financing instrument that helps developing countries reach their REDD goals by providing funds to bridge the investment gap. REDD+, Reducing Emissions for Deforestation and Forest Degradation in Developing Countries, seeks to financially compensate developing countries for their verified efforts to reduce emissions through sustainable forest management. While these relatively new programs have not yet seen great success, their potential is evident but also contingent on significant financial support. The hope is that countries will receive money through the REDD agency to not cut down their forests but this has yet to be proven successful. Furthermore, REDD+ faces significant cultural opposition in Brazil by indigenous groups, especially in the state of Acre, who believe it only benefits large landowners and prohibits natives from removing wood in a sustainable manner from their own forests. This is further discussed in the “Cultural Barriers” section of our report. Are these policies meaningful or just rhetoric? 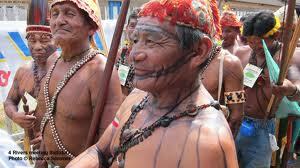 In sum, they are a necessary step if Brazil is going to truly plan and make strides to curb deforestation. Are they enough? The short answer is no. They will only be successful if benefits from programs like REDD, the Amazon Fund, and the FIP are shared with all concerned stakeholders. Our report details the many implementation barriers facing these policies. Brazil is building a strong foundation that has immense potential. It needs to prove to the international community that it can succeed if it is to receive the investment necessary to make a serious dent in deforestation. ‹ AFOLU in Brazil: What’s the Big Deal?